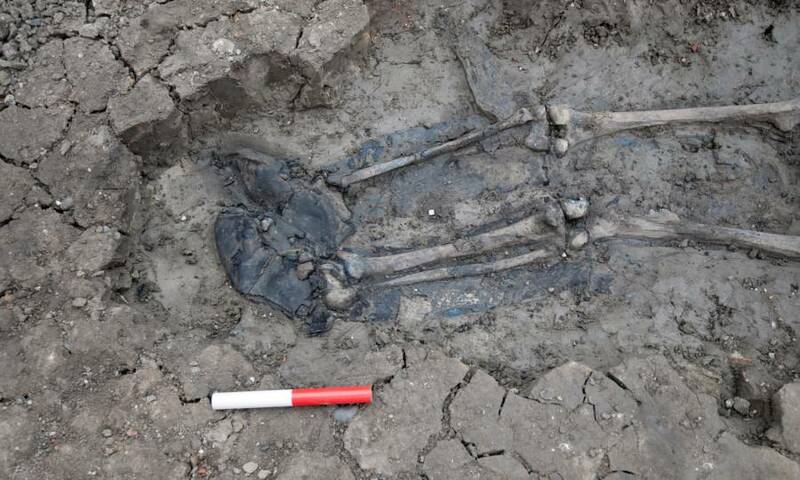 The 500-year-old skeleton in thigh-high leather boots by thw river Thames. The skeleton of a man that is believed to date back 500 years was uncovered face-down in the mud by London’s river Thames. What’s remarkable about this particular discovery is that the skeleton was found wearing thigh-high leather boots that are nearly fully intact. The skeleton was found in the Bermondsey neighborhood in south London by archeologists at work on the city’s new “super sewer.” The $5.4 billion project is intended to capture, store, and transfer raw sewage and rainwater that’s currently flooding the river. The discovery of the leather boot-clad skeleton has prompted archeologists to investigate the site further before moving forward with the “super sewer” construction. According to Mola Headland, the firm in charge of the sewer construction project, leather was a highly coveted material during the Tudor times in England. They believe that it would have been highly unlikely for a corpse to be buried with such a valuable item, which indicated to them that this man’s death was probably an accident. 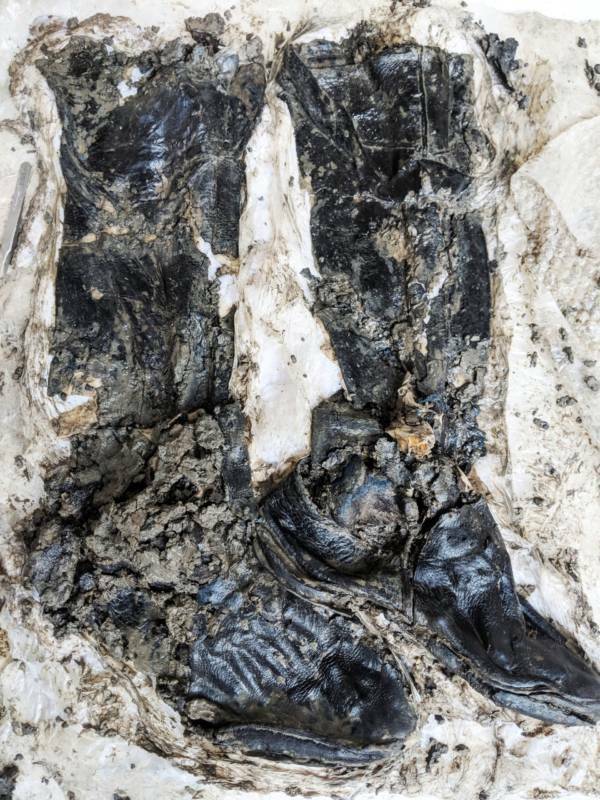 The well-preserved 500-year-old leather boots. The company also stated that during the 15th and 16th centuries, the banks along the river Thames were not the safest places to hang around. The man might have been “a fisherman, a mudlark or perhaps a sailor,” the archaeologists said. “Leather can be very well preserved in London, especially if it’s found in a ditch that would have been full of water, or near the riverfront,” said Beth Richardson, a finds specialist for the Mola archaeological team. It is therefore not surprising to archeologists that the leather has managed to stay intact through the centuries. It’s for this reason that the archeologists believe that the skeleton was probably a fisherman or dock worker. These boots, according to Richardson, were not fashionable by any means. “These were very simple boots,” says Richardson, and explains that they’re basically the modern-day equivalent of rain boots or “wellies” as they’re commonly referred to in the U.K. The Mola Headland Infrastructure excavating the 500-year-old skeleton. Aside from the thigh-high leather boots the man sported during his untimely death, there are other details about the man that give clues into his identity. Experts discovered that this man had extensive degenerative joint disease along his spine and left hip joint, which could mean that he was probably engaged in a ton of physical labor throughout his life. Niamh Carty, an osteologist, believes that he was probably older than 35 at the time of his death. Although archeologists will probably never be able to conclusively determine the man’s cause of death, they have no reason to believe that foul play was involved. What we do know is that we just don’t make boots as durable as we used to.